When Priyanka Karki released a photo of herself with another actress Deepa Shree Niraula tied in a closed embrace, I couldn’t help writing about them. It sure is a lovely embrace – isn’t it? After Priyanka acted in the movie Deepa Shree Niraula was a co-producer, their relationship has flourished. 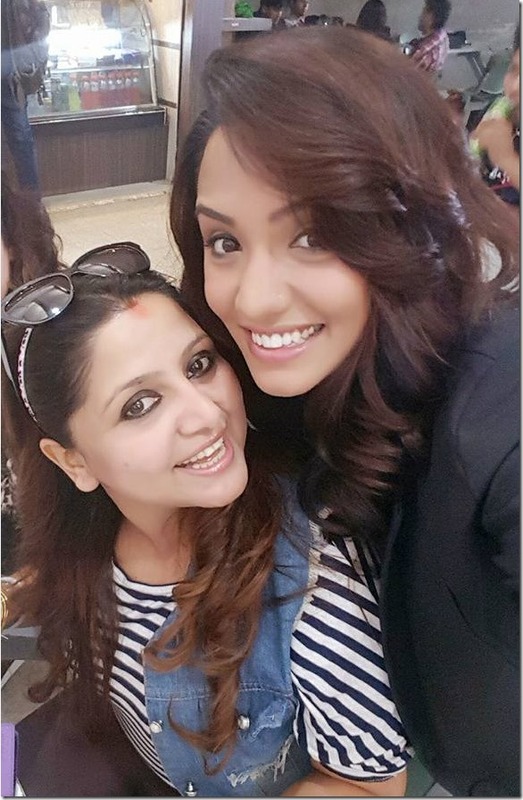 The relationship between two actresseses is mutually beneficial as Priyanka Karki is currently the busiest and sellable actress in the film industry and Deepa Shree is establishing herself as a credible producer and jumping into directing movies. The closeness between the two was seen during the press meet of the movie ‘Woda Number Chha’. They had hugged each other and appreciated each others by telling that they were lovely. When talking about the first movie Deepa produced with Deepak Raj Giri – ‘Chha Ekan Chha’ the relationship with the actress of the movie wasn’t that great. The actress Neeta Dhungana wasn’t seen hugging any other artists. But, in the second movie, Priyanka has created a magic to the film makers. When actresses are concerned, Priyanka is considered the most easy-going actress in the industry according to the insiders. Being very active in social media, she also readily appreciates others and talks positive about almost everything. One day, I will share all the photos of Priyanak’s embrace to her co-artists. For now, lets see the photos of Priyanka and Deepa in their happy moments. This entry was posted in Gossips, Photo Gallery and tagged Deepa Shree Niraula, Priyanka Karki. Bookmark the permalink.